Leather is never out of season! It’s a style that lives year round and keeps getting better the more years you add to it! In our generation, leather wear is commonly seen with professionals, upper class, and older peers. It’s not likely that you will find an 18 year old male or female carrying around a leather wallet or bag, right? So why is it that leather is not very popular to the younger generation? OleksynPrannyk is a leather production and store located at the Historic Mooresville Cotton Mill in the town of Mooresvillle, NC. 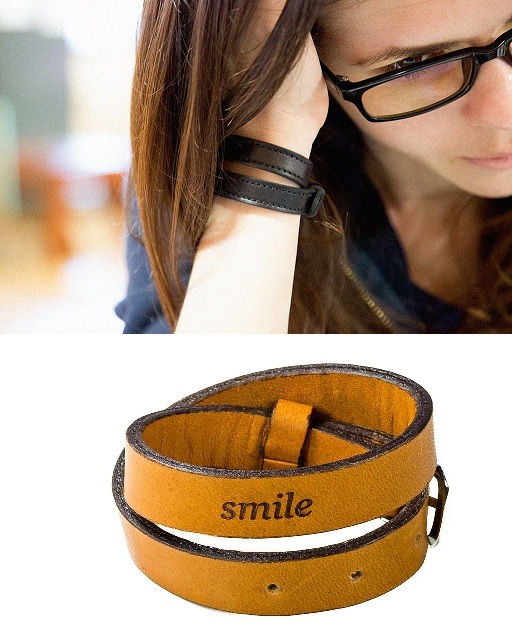 They produce genuine leather goods ranging from bags, wallets, accessories, covers, etc. OleksynPrannyk is not just known to serve their customers leather of the highest quality, but they are also known for serving their customers with the utmost care! So, no matter what age you may be or what lifestyle you may have, OleksynPrannyk will cater to your leather needs! Here are a few of OleksynPrannyk’s leather products that we’re sure you will love! Whether you are going on a road trip, backpacking around Europe, or just going for a stroll around the park, a leather bag is always a great option to opt to if you are looking for something that’s durable and stylish to wear with any outfit at any occasion. Pair up OleksynPrannyk’s gorgeous black leather backpack with any outfit, such as a white button down shirt cuffed at the elbow and a pair of denim jeans for the ultimate simple yet all time favorite look! OleksynPrannyk’s Chestnut Leather Backpack features adjustable double straps, a main large compartment, heavy stitching and interior side pockets to fit all of your necessities with security and durability. 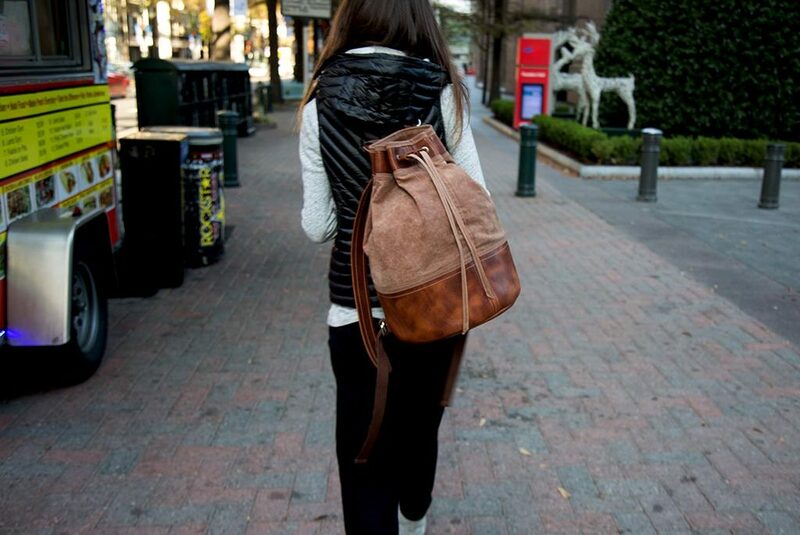 Made with leather and cotton webbing for a softer and less strained feeling, makes it perfect for an everyday bag! The gorgeous chestnut color makes it perfect to pair with any outfit, such as joggers and a plain hoodie with your favorite winter vest! Another great investment is OleksynPrannyk’s Roll Top Leather backpacks which features a more sleek and personalized look. Its duo toned colors is surely a great addition to its unique roll top closing. A backpack that looks great paired up with a more laid back outfit like a sweater and pants or a more dresssed up casual everyday look like a light washed denim jeans and striped tee. Perfect for both men and women! Different from OleksynPrannyk’s backpack collection but still very unique and gorgeous is their line of messenger bags. This particular messenger bag is a crowd favorite because of it’s adjustable strap and a large flap that seals up with a wide chestnut colored strap for extra protection! 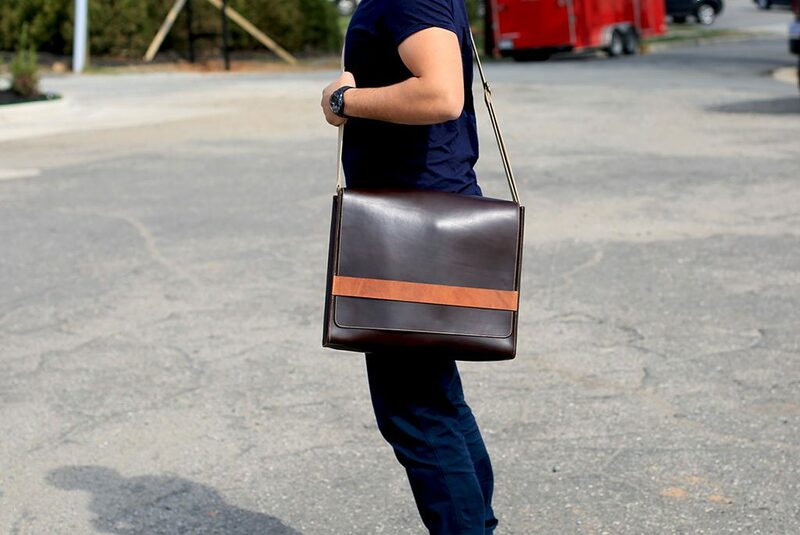 Messenger bags are always a classy look for work, school, or just as an everyday stylish bag. 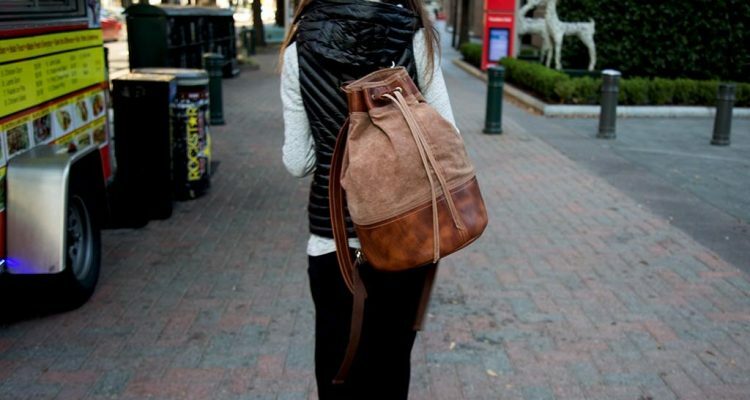 Definitely a bag you can dress up for a business meeting or dress down for a quick study sesh at Starbucks! Some say money makes the world go round! What better way to protect your most valuable assets than a leather wallet! Whether it may be simple or personalized, OleksynPrannyk’s leather wallets is a must to add to your leather collection. 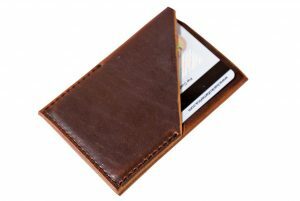 Simplicity is very beautiful and what can be anymore beautiful than a simple leather wallet. 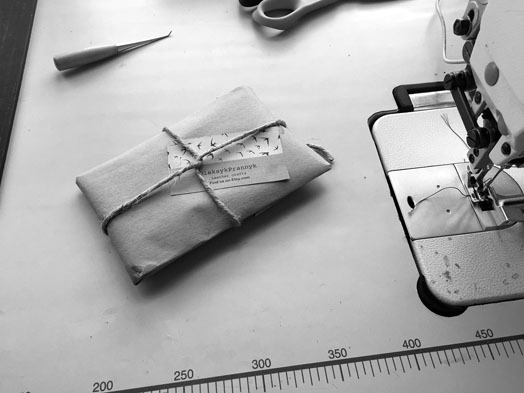 The unique asset that the leather wallets of OleksynPrannyk posses is their straight line seam that can be found in all of their products. Match this great leather wallet with one of their very own bags as featured above. You’re sure to have an accessory that will last you a lifetime! Another great match with OleksynPrannyk’s leather bags like the Chestnut backpack or their messenger bag is their leather cardholder. Simple but very chic and secured, it’s definitely a must for no cash holders! OleksynPrannyk’s Dublin Natural Bifold Wallet features their unique straight seam and an optional personalization up to 3 characters. A great gift for yourself or for someone special in your life! A wallet that’s truly a must have for every leather lover! Now that you’ve got your staple leather bag and wallet, what more can you add to your ultimate leather collection? If you’re looking for a gift that you can’t go wrong on or something for yourself, check out some of OleksynPrannyk’s accessory line that features leather bracelets, covers, personalized cutting boards, and much more! A great personalized gift to give someone who’s very techy and OCD! 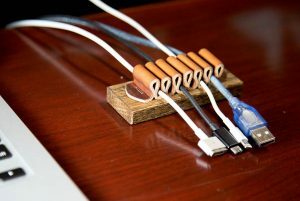 OleksynPrannyk’s Chestnut Cable Organizer features a leather strap with a wood finished foundation! A simple and also very useful tool to have! Jewelry is always a great accessory, but it doesn’t always have to be bling-y. OleksynPrannyk’s leather bracelet reminds us that it’s okay to take a step away from shine and look into the more authentic and rugged style of leather wear! A great accessory to use for the daily or on special occasions to spice up your outfit! Tired of the usual apple watch bands? Want something more personal and unique? OleksynPrannyk’s Chestnut Double Tour Apple watch band is a great alternative for something more you! It goes great wit rugged wear, sports wear, or formal wear! Have a wedding, anniversary, or birthday to go to? Or if you simply want your own restaurant, store, or name engraved personally on a cutting board, then the OleksynPrannyk’s personalized cutting board is a must-have! An off the record addition that kitchen and food lovers should all have in their favorite place! Leather have always been and will continue to live on in our lives! It’s a style and material that grows even more beautiful the more years you add on to it! Next time you decide to look for a great and classy addition to your favorite wardrobe or to your home, check out OleksynPrannyk at oleksynprannyk.com .